Hello! Looking at my post it occurs to me that a "Happy New Year!" is in order... can't believe this is my first post of 2014, and it's already halfway through January! Of course, it didn't help that I was ridiculously ill for the past few weeks - tummy bug + cough + sinus infection = no fun at all over winter break, boooo... at least it didn't wait until school started and make me miss a ton of class I guess. But I'm better now and definitely looking forward to a great new year for ye olde blog! Today I have several Colors by Llarowe pretties to share with you. I have loved this line ever since Leah Ann started making them last summer, but I think this is my first post highlighting them -crazy, since they are so amazing! 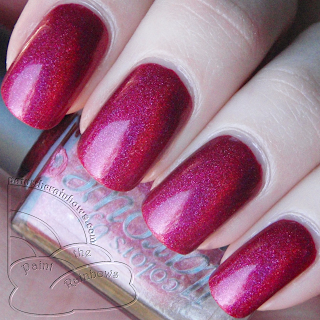 Dirty Diana is a berry/magenta linear holo. The holo effect is super strong! This is definitely one of my favorite CbLs, the color is really rich and pigmented and so beautiful. Great application too! Monkey See, Monkey Do is a sky blue holo packed with holo microglitter as well. This one-two punch of holo means it is both linear and scattered - and amazingly sparkly in all lighting! 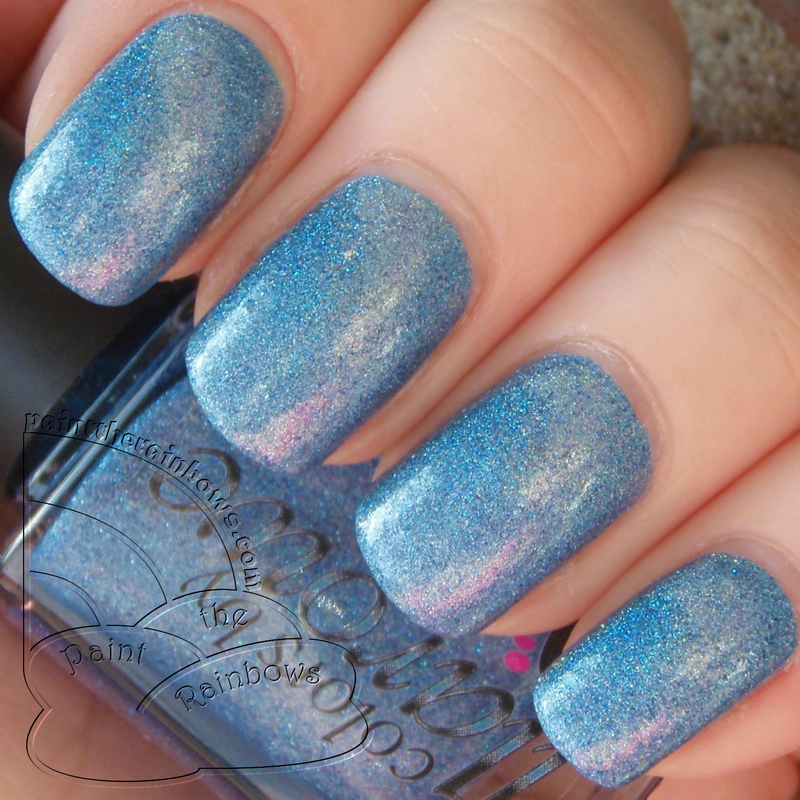 I adore the holo effect here, and of course sky blue is one of my faves also :) This one is a little gritty because of the microglitter but a coat of topcoat solves that easily! The Man in the Red Suit is a bright red linear holo. As many of you know it is hard to find the perfect true red holo - they tend to lean either too pink or too orange sometimes. Not the case here! 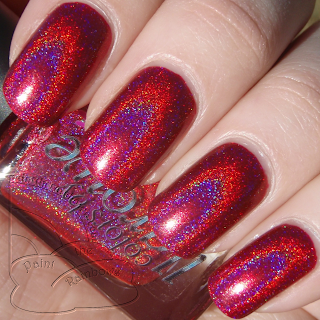 This is definitely my new favorite red holo! 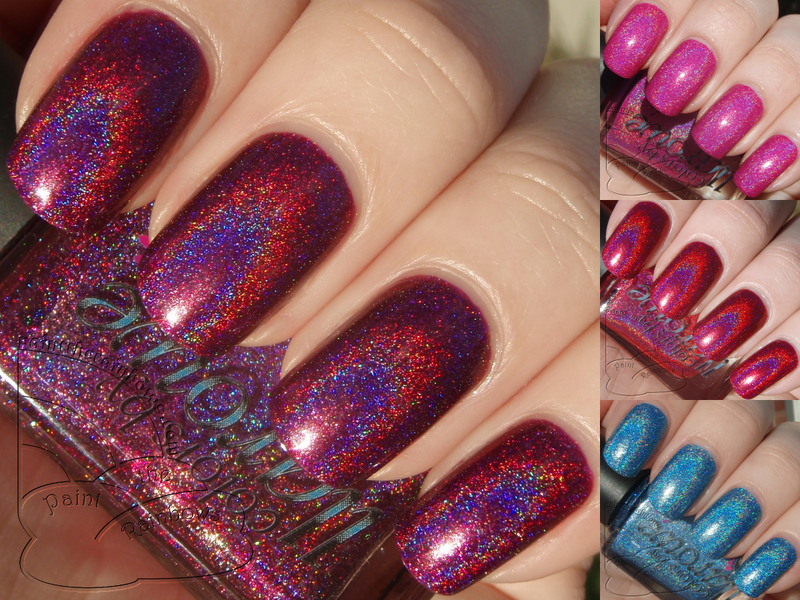 It's crazy rainbowtastic in sun also - super holo! Do note that since it is so pigmented, I had a little problem with staining my nails with this one, so just remember to use your base coat and you should be fine! 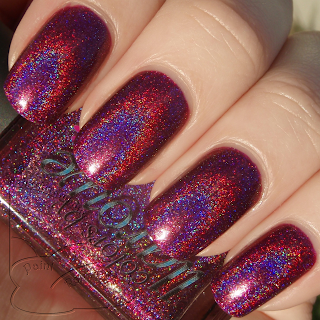 Lastly, It's Shocking is a bright warm-leaning pink linear holo. 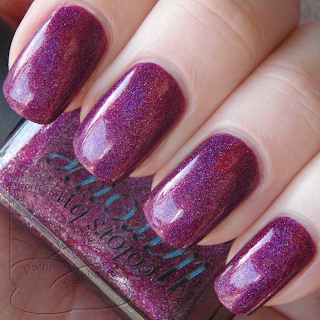 I adore this color! It's so bright and cheerful, and one of my favorite shades of pink for sure. Great application too (like all of them)! Happy New Year!! What a great collection to bring in the new year. Hope you are feeling better now.